Are you wondering whether foam insulation is the right choice for your home in Huntsville, Alabama, or other surrounding community? If so, you’re joining the ranks of homeowners in the Rocket City who are tired of the hassle and expense of installing new insulation in their homes every few years and find the longevity of spray foam appealing. In fact, because polyurethane foam is impermeable and never degrades, you will never have to replace the insulation in your home ever again. You will save money – When foam insulation is sprayed onto the walls and into the crawl spaces of your home, it seals tiny nooks and crannies that allow heat transfer, which makes it more difficult to keep your home cool or warm, depending on the season. Homeowners who install spray foam find that their HVAC units don’t have to work as hard to keep their homes comfortable, which means fewer energy dollars spent and a longer life-span for their heating/cooling units. You will enjoy a quieter home – Because spray foam dries into a solid substance, it acts as a barrier against outside noise, which means your home can be a little more peaceful. You may see improved air quality – When foam insulation closes the tiny gaps in the structure of your home it reduces the amount of outside pollutants that can enter. Cutting back on the allergens, dust, and mold inside your house can make breathing easier for those who suffer from allergies or asthma. 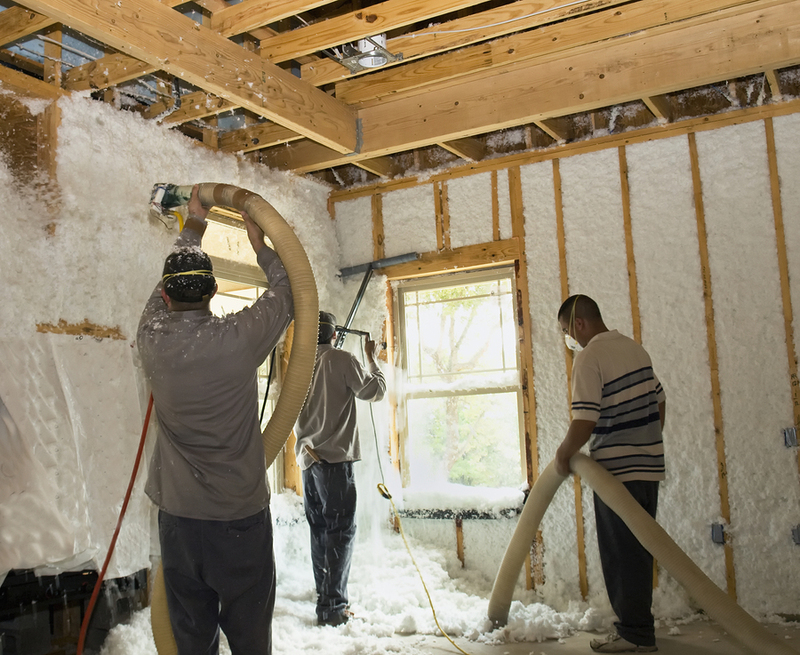 When you’re ready to experience the benefits of foam insulation in your Huntsville, AL, home, turn to the experts at 31-W Insulation. We will be happy to answer your questions and provide you with exceptional insulation products and outstanding installation services.